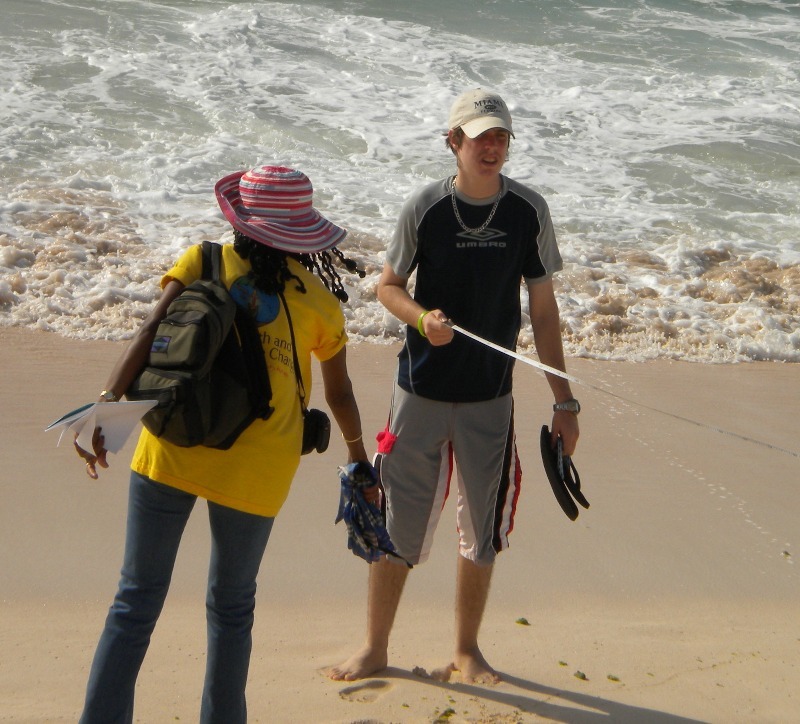 The Sandwatch/Greenlanders Environmental Club was re-launched at the Lester Vaughan School in Cane Garden, St. Thomas, Barbados thanks to collaboration with a local environmental NGO, Future Centre Trust, who was then known as Counterpart Caribbean. The club started under the direction of Ms Evadne Johnson, a Science teacher at the school and the club’s coordinator. The club has participated in many projects over the years such as a bio-diesel project where used vegetable oil was turned into fuel, as well as many beach clean-ups, seminars and workshops on climate change and the effects of global warming. 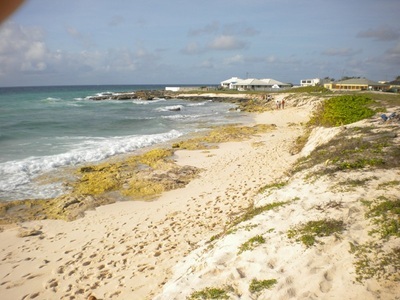 In 2009 the club started its Sandwatch Project monitoring the beach at Long Beach, Christ Church on the south coast of Barbados. Long Beach and the surrounding Chancery Lane area is home to one of Barbados' last natural wetlands and to the many birds “visiting” the island that we are lucky enough to catch a glimpse of as we walk by on our way to the beach. 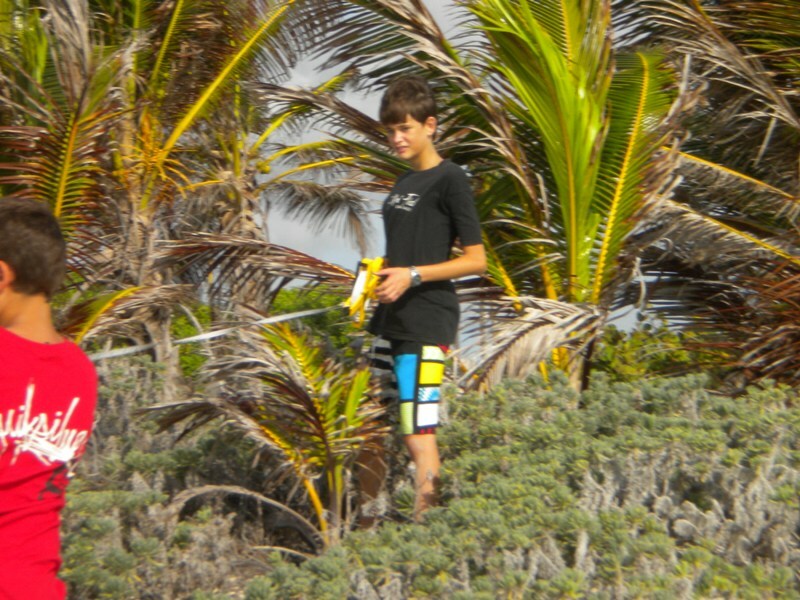 The beach is also a local hotspot for wind and kite surfing and may also be used as a nesting area for turtles as many are spotted out in the water while we are on the beach. As an example of some of the data collected on our monthly readings, from March 2010-2011 we noticed that there appears to be generally more sand at the eastern end than the western end. Also that variation in erosion and accretion appears to take place more at the western end. There seems to be more erosion of this section in the earlier months and as the year progresses more accretion is noticeable. 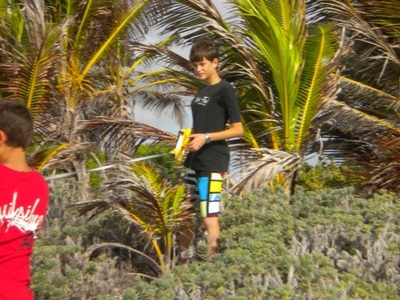 With members such as Skye and Matthew Shepherd, Spencer Mayers, Mitchell Burke and myself pushing the project and the club forward, we are looking to plot graphs with data collected so people may have a visual picture as to what is really happening on the beach and may even be able to estimate where the shoreline may be in a few years time. I would like to express my thanks to Ms Evadne Johnson, our teacher and Club Coordinator and Ms Nicole Garofano of the Future Centre Trust for assisting the club over the years. We look forward to continuing to collect this data in our Sandwatch area and in expanding the membership in the club in the coming school year.